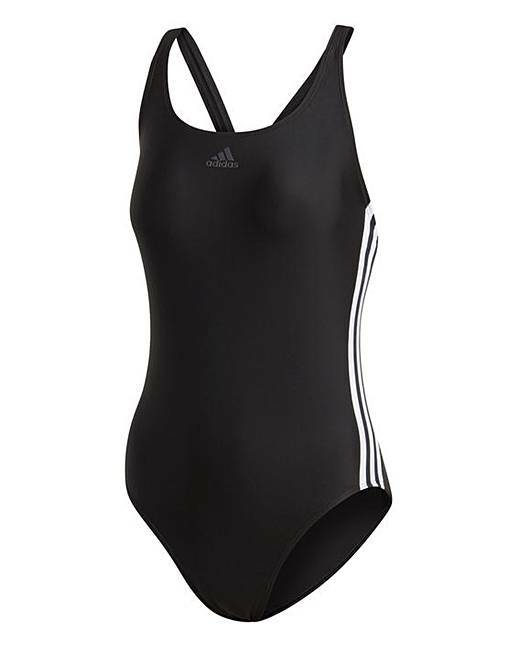 adidas Swimsuit is rated 2.0 out of 5 by 1. Raise your fitness level one lap at a time. This adidas chlorine-resistant swimsuit is built with soft fabric that's made from recycled fishing nets and other discarded nylons. The medium neck, back and leg cuts provide comfortable coverage for everyday training. 78% Recycled Nylon, 22% Elastane.